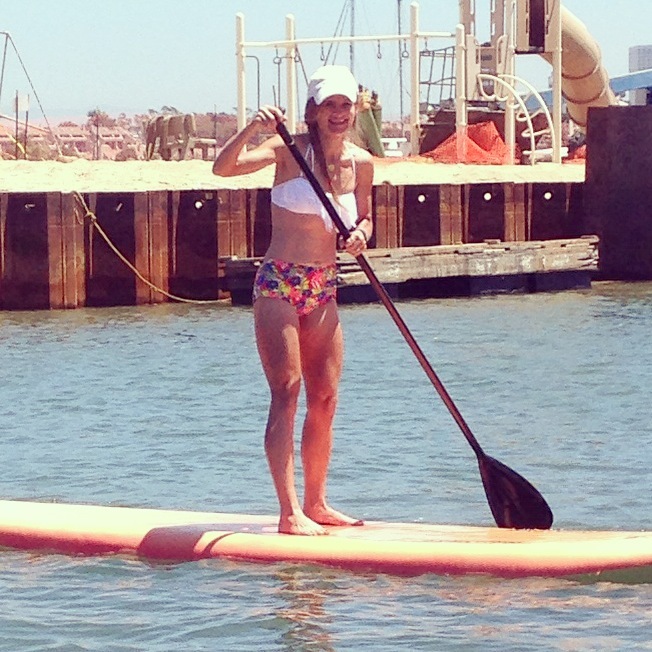 Paddleboarding happened to be one of the first items on my Summer Bucket list during its drafting phase. Whenever we’re in Newport Beach I see the paddle boarders, looking at peace with the water, the salty air, the sun, and the wind. It’s slow and methodical, paddleboarding. Yet, like anything with method, there is a vast freedom to it once we learn the strategy. I’ve been spending most of my reading time reading about Russell’s Paradox again, Godel’s Incompleteness Theorem, and theories of infinity and sets and self-referentiality. I like to play with the Platonic ideal. I took a logic class in college, and I wish I would have pushed myself further in the direction of symbolic systems. I’ve been thinking about rules and how we find freedom in the constraint. At the same time that I am reading mathematical types of texts during the day, I have been devouring Pirsig’s Zen and the Art of Motorcycle Maintenance at night. Of course it happens that thematically this is a highly appropriate choice for my interests at the moment. I think Pirsig’s novel is brilliant. It would seem, maybe, that all of this is light years away from my English major, but it is very much not—when you think about what a system of language really is and how that system takes meaningless symbols and rearranges them to generate meaning within a self-referential system. I can’t help but think about my History of Rhetoric class, where I saw some of those connections so clearly for the first time. So when you’re out on a paddleboard, you are this mass of organic, animate material with a brain that contains all of the universe, but the universe contains you, too. You are a speck on the bay, a point in infinite space-time; yet being present in the moments of instantaneous change absolutely gives the experience quality. You can take the paddleboard anywhere: up close to the moored boats, near the shore, across the bay to one of the islands. There’s method to how you navigate the wake various duffy boats and cruisers leave behind, a mathematical method. It’s all physics, and you are a real participant on the water. It sloshes onto the board now and then and onto your hot toes, giving a bit of relief to tingling feet that have stood on texture for two hours. There’s a rhythm, too. A few strokes on one side, a few strokes on the other. It has to be balanced, you see, or you will veer in another direction entirely. As with any act of navigation, there is anticipation: you have to be aware of not just the present moment but also of the future moment. There is prediction. There is both logic and art to it, and both together give rise to the beauty of the experience. Like so much else, especially those activities which seem to require the mind-body connection so rigorously, there is in paddleboarding a path to meditation and peacefulness. You look out at the bay and wonder how much closer you might be to understanding the axioms of the universe and the language in which it is written. You wonder about the modern concept of the “I?” and how our brains give rise to our unique selves. 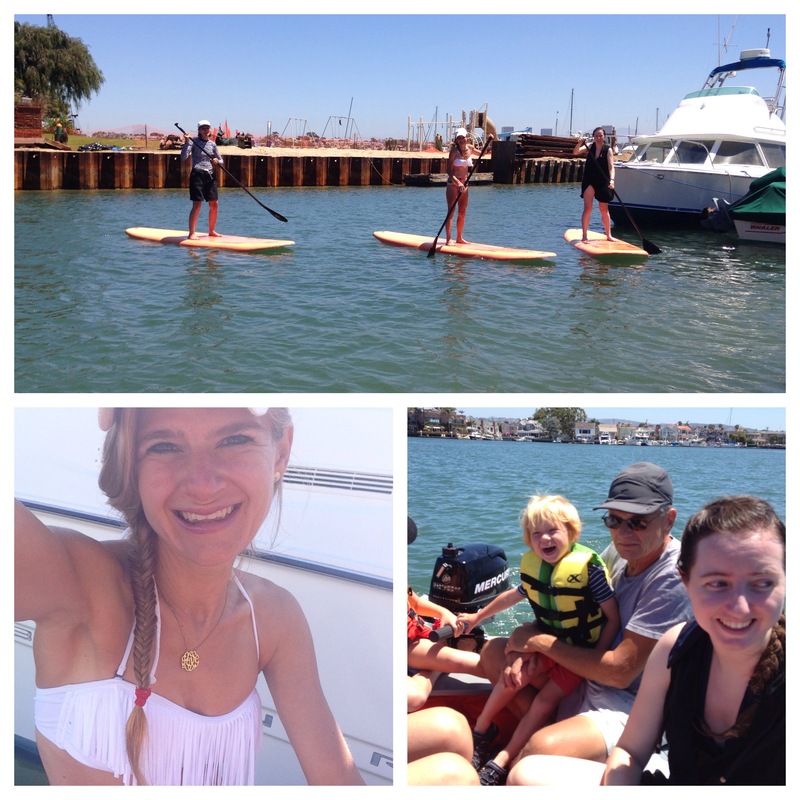 My mom, my sis-in-love Ashley, and I went paddleboarding through a company on the penninsula. After my dad and my kiddos drove us across the bay in the motorboat, Colby took us to a beach near Bay Island, gave us a couple of pointers, and then we were off to our own devices! My dad snapped this pic as he and the kiddos were leaving to go dock fishing back at the house. 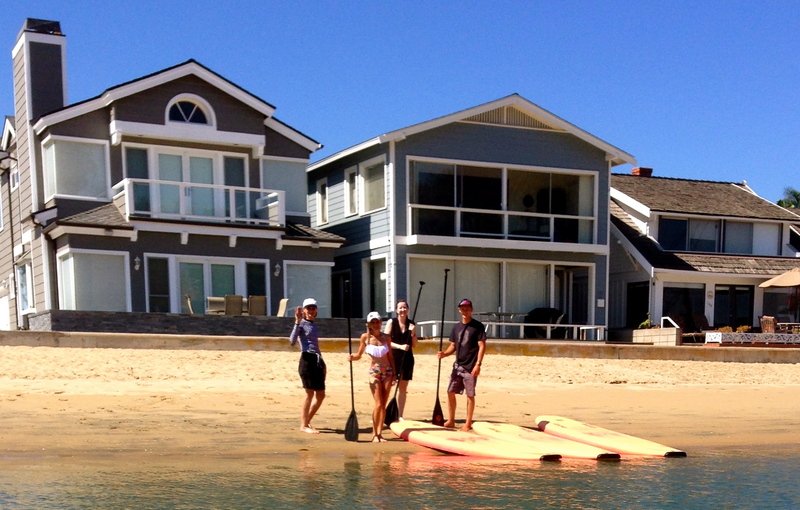 I am now a paddleboard enthusiast and have been thinking about getting one of my own. My mom, who also enjoyed herself, just stocked the house with two family boards so we can try it out some more. I have seen some wicked Pinterest pictures of people doing yoga on their boards—I wonder if I could ever work up to THAT? Ha ha. It seemed to be enough just to stay balanced and meditative in our first position there. Still, I can see why people go out on paddleboards every day. A great workout/cross training AND so relaxing at the same time. So, what’s this about the pole dancing? In truth, I was not imaginative enough back in the spring to put that on my summer bucket list. Do you ever wonder how much we miss out on doing due to lack of imagination? I was just having a conversation with my friend Steve about this: how we put ourselves into boxes, and if we could just get past the fear, we would find the whole world opened to us. Anyway, one of my friends from my teaching days shared a clip of a pole dancing competition during a discussion we were having about cross training and swimming. I guess I sure had some preconceptions about pole dancers in general, but when I saw the competition clip I let those stereotypes go and found myself full of awe and respect at the athleticism required to do it. One thing led to another, and my friend suggested we try an introductory, do-you-like-pole-dancing class together. Well, why not? If I can overcome my fear of heights to fly on the trapeze (back in March), then I can certainly try pole dancing. I do not want to get to the end of my life having stayed only in my comfort zone; I don’t think I can fully grow or discover myself that way, or make discoveries about the nature of the universe, either. I called this “Summer Bucket List #11.5, because in reality, it was a late add. We went to Dollhouse Fitness in Encinitas. I don’t have any pictures of the experience, because, really, how would you get such pictures? And wouldn’t that expose the privacy of others? At any rate, we took the intro class, and IT WAS SOOOO FUN! We learned several tricks (including various ways to fly around the pole) as well as a choreographed routine. We were encouraged to enjoy our bodies and to respect them, and, as with most physical activities like this, there was a definite connection to the physics of the motions. My upper body and core got nicely worked. More importantly, I had a blast. I loved it. Thoroughly. I checked into options, and there is a studio close by to where I live. I might treat myself to a drop in class once a month in the evenings. Our schedules are about to go into school mode very soon, and the kiddos are in a bunch of activities: I am not sure how many more commitments I can reasonably add for my own edification, although the pole dancing was such a fun way to work off my Type A mode. I can’t stop thinking today about pole dancing more… The feeling of flying around the pole in a fireman twist was absolutely amazing. I felt weightless and (close to) graceful. Who knew I would find part of my essence in a pole dance studio? It’s important to explore in life, that’s for sure! We never know what we will find!